When Ravenscraig Steelworks closed in 1992, a site once at the beating heart of industry lay vacant. There were calls to find new uses for the land, followed by several years of planning and preparatory work. This led to the formation of Ravenscraig Ltd – a joint venture comprising Scottish Enterprise, Wilson Bowden Developments and Tata Steel. Working together, this partnership sought to redevelop the site in a way that would have real economic impact for North Lanarkshire and further afield. Development work began in earnest in 2006. Since then, a number of key projects have become a reality. New College Lanarkshire has a new campus on the site, with thousands of students entering its doors each day. The likes of Barratt Homes and Taylor Wimpey have been attracted to the site by Ravenscraig Ltd, with hundreds of homes created and communities now growing and thriving. Another major success is the Ravenscraig Regional Sports Facility, which provides a world-class facility for athletes and local people alike. Recently, a £2.9m pub/restaurant called the Ravenscliff opened its doors on the site, marking another important milestone in Ravenscraig’s regeneration story. The opportunity at Ravenscraig is clear, with the sheer scale of the site meaning there is ample land for further development. Shifting lifestyles, market conditions and developer appetite led us to the conclusion that the time was right to revise our original 2006 masterplan, in order to ensure the brightest possible future for the site. 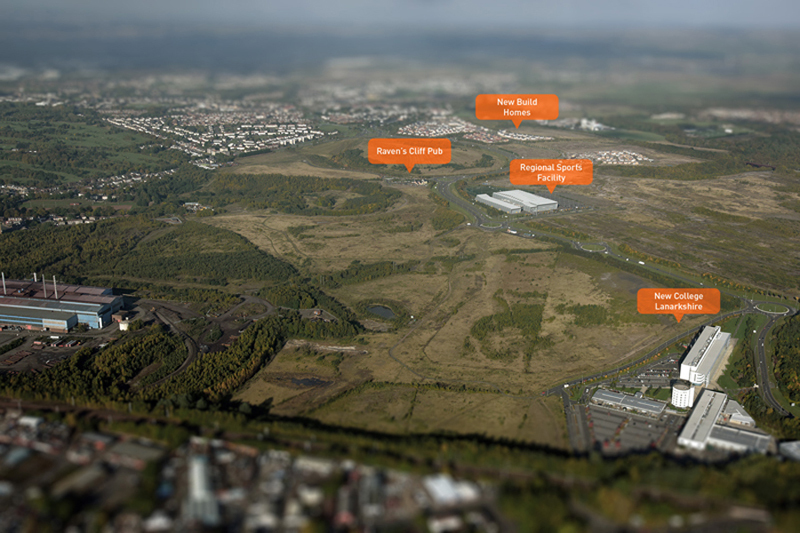 We are working closely with North Lanarkshire Council to produce a fresh vision for Ravenscraig. Our plans include expansive green space, education facilities and high quality housing to meet the needs of the local population. There will also be ample employment opportunities throughout the development phase, while conversations are underway with potential commercial occupants for the site.